Local Lawyer for a DUI Arrest in Oakwood, Georgia? Many DUI Attorneys claim to serve Oakwood, Georgia, but their offices are an hour away! Our office is less than ten (10) miles away. We want DUI cases in Oakwood Municipal Court. We have experience in Oakwood, Georgia. We believe that Local is Better. A. Bishop Law is located just miles from Oakwood Municipal Court. If you would like a local lawyer to help you with your DUI charge or Traffic Violation, please call us at 770-783-5296. In our own life experiences, outside of the legal arena, we know that the Home Team generally performs better than the Away Team. The Away Team is, generally, not as comfortable as the Home Team. As a result, the Away Team may not perform as well. The Away Team has to deal with the hassle of travel, getting lost, and not knowing the best routes. The Away Team is out of their comfort zone, and sometimes this can show! On the other hand, the Home Team has been there before. They know the trouble spots in the turf that need to be avoided. They know what weather to expect. Generally, a Home Team performs better because they are more familiar and more comfortable with their surroundings. Local to Your Case is Better! Familiarity with the Court Process: DUI Lawyer John Breakfield routinely appears in Oakwood Municipal Court. We know who we will need to converse with on the facts and the law. We know how to request any audio or video in advance. We know the types of cases that need to stay in Oakwood Municipal Court and those that may need to be transferred to a higher court. Some out of town lawyers have no idea who to even talk to when they show up for court. Some may not even know how to get to the Courthouse. If a lawyer has not been to a courthouse before, how can they reasonably advise a client on potential outcomes? Familiarity with the Personnel: Although no lawyer can guarantee a result, a lawyer who is familiar with prior cases handled by a certain prosecutor or police officers, may be in a better position to give advice on a current case. An analysis based upon knowledge and experience can help a DUI Defendant make an educated decision on their case. Knowledge of how the judge may respond to a particular argument can also better educate the client on the risk and reward of taking the matter to trial. Knowledge of a likely sentence imposed by a judge helps a client further weigh their options. Immediate Response: If need be, we can address problems in person, immediately. 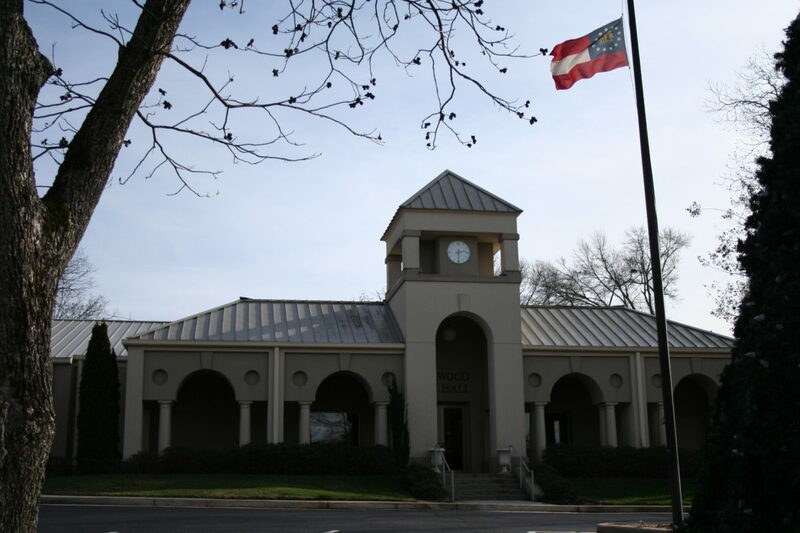 Our office is less than ten (10) minutes from the Oakwood Municipal Court. Attorney John Breakfield lives in South Hall County and is less than ten (10) minutes away from Oakwood Municipal Court. Some Exceptions: Many times the comfort level of an existing Attorney-Client relationship is more beneficial to a particular client. If you have a lawyer you already trust, use them. If you would prefer a lawyer closer to your home and work, then hire them. The convenience of a lawyer near you is a preference and should not be ignored. Regardless of where you find your lawyer, it is almost always better than not having a lawyer at all. So even if it is not our Law Firm, please consider hiring a lawyer to represent you on your DUI case. Bottom Line: A Driving Under the Influence charge is a very serious matter and it is not a sporting event. However, our shared life experiences tell us that in a contest of skill between two sides, it is usually better to be the Home Team.